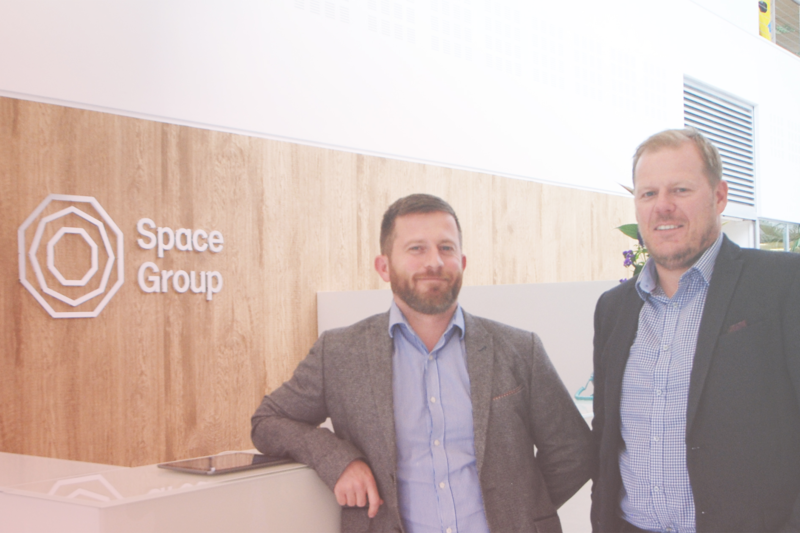 Paul Broadfoot and Keith Handy have been promoted to Director level at Space Architects, a leading north east based practice specialising in innovative techniques, utilising advanced technologies to improve property outcomes. Paul (BSc Arch, BArch (Hons) Architecture) joined Space Architects in 2005 and has over 15 years’ experience designing primarily for the education, residential and retail sectors. Paul is currently managing and developing the Education and Lidl teams. The Lidl’s national specification role involves working on a variety of their international store types including their new Metropolitan and TYPE 1300. These designs and specifications are then distributed to all Lidl’s’ Architects in the UK. Paul also manages the construction delivery of Lidl projects and has up to 30 plus stores. In addition, Paul oversees the design and delivery of all educational projects and is currently working on CAP 3 and Isle of Wight schools. Keith (BA (Hons) Architecture, PG Diploma in Architecture, PG Diploma in Professional Practice joined the practice in 2006 and has been a key driver in the development of a wide client network, which he expects to grow in the next 12 months, in particular with opportunities in the residential sector. He is currently overseeing the Park View Student Village project for Newcastle University which utilises new and inventive offsite modular construction techniques. Keith spoke about his vision for Space Architects and his team following his appointment: “My goal is to achieve a common-vision throughout the team, we share a passion for architecture and design and this is the perfect foundation upon which to build success. Space Architects, as part of Space Group, is in an unrivalled position through their use of innovation and digital construction expertise. Utilising Building Information Modelling (BIM) methodologies has enabled the project teams to make buildings smarter by improving the accuracy and speed of design, to deliver a sustainable built environment. This provides exceptional value to the client who can enjoy timeless designs, delivered with efficiencies in both cost and time. The technical skills of both Paul and Keith are integral to the successes enjoyed so far by Space Architects. Through not only championing the design and quality aspects of projects but also advancing and developing what’s coming next, Paul is currently working on design models which are dynamically linked to the bill of quantities and costing – delivering even more value and efficiencies to the client.